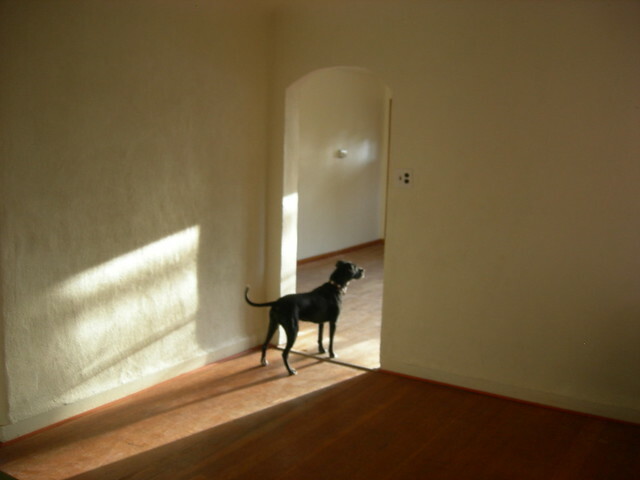 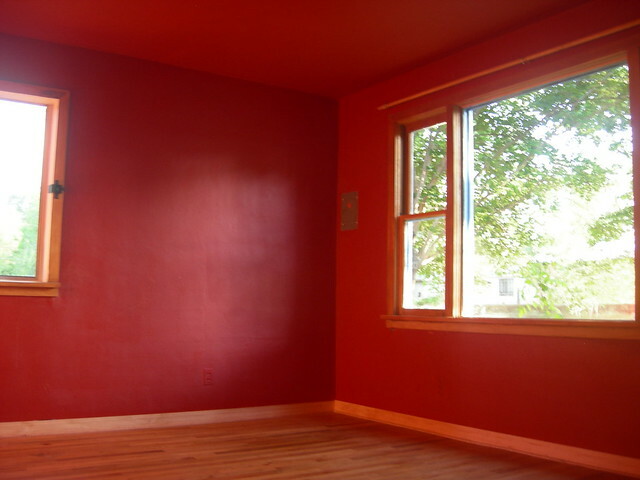 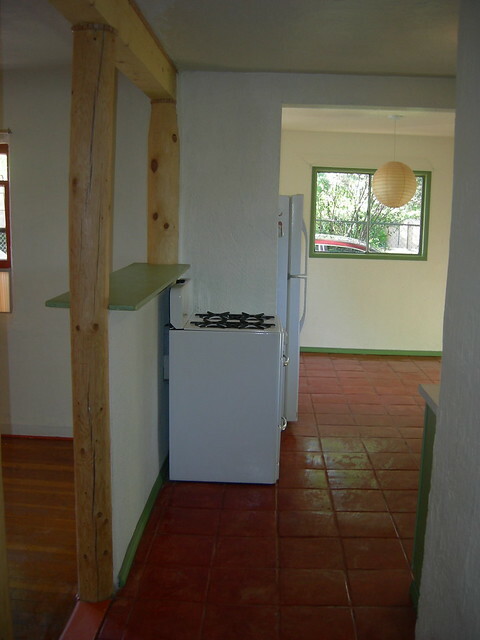 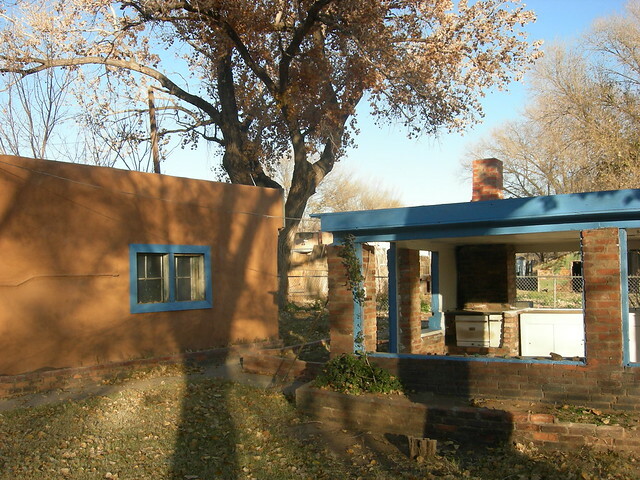 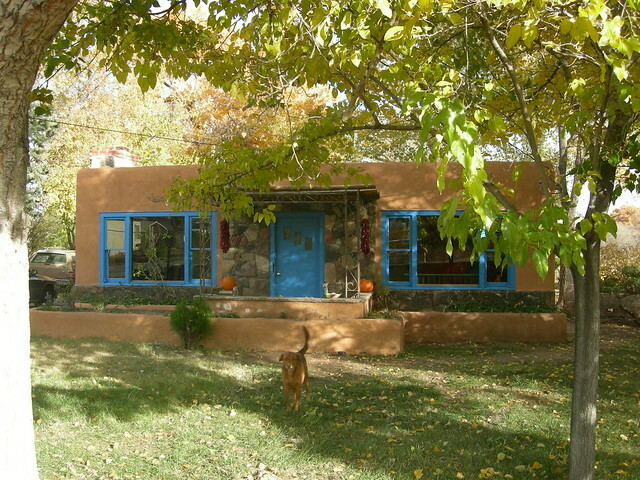 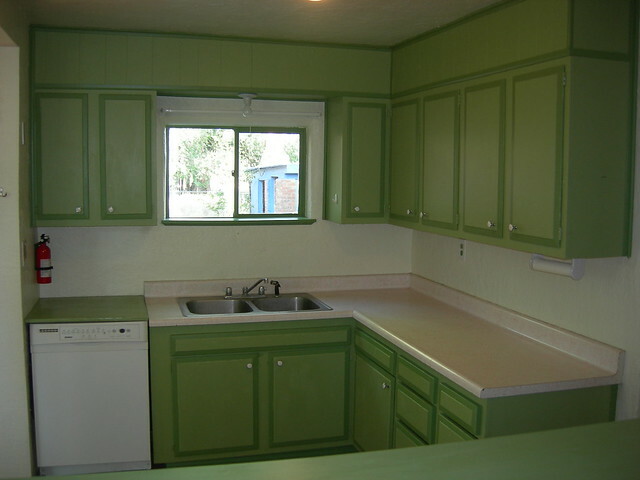 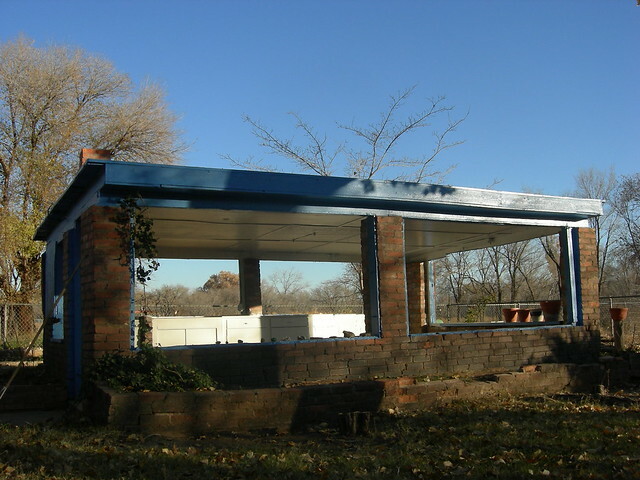 The house is a beautiful three-bedroom, tucked away on two acres in Albuquerque's South Valley. 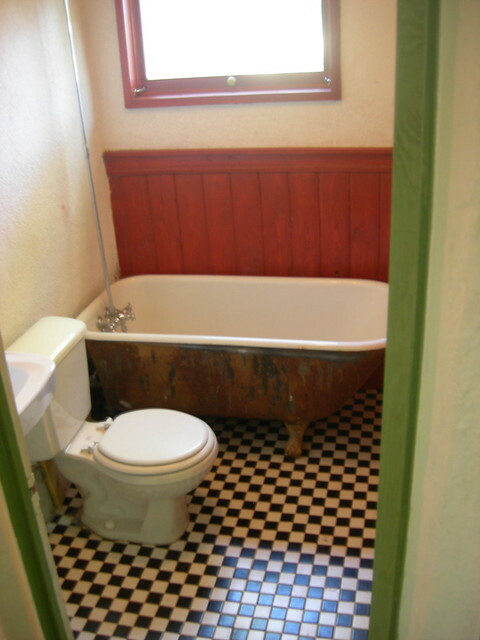 It has one master bedroom, two small bedrooms, and one bathroom with a beautiful antique clawfoot tub. 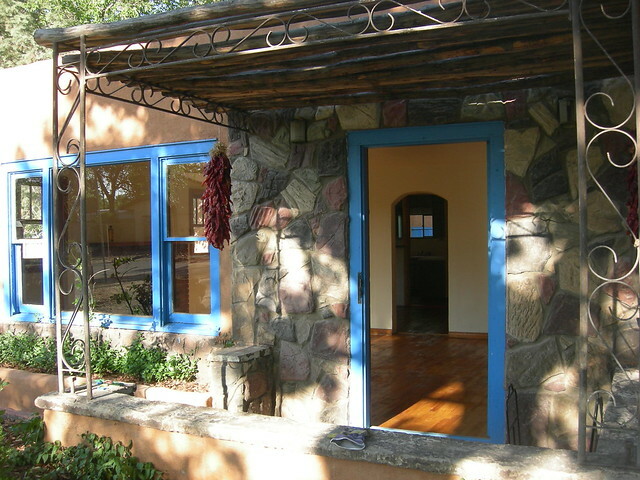 There are hardwood floors throughout, rustic Saltillo tile in the kitchen and ceramic tile flooring in the bathroom. 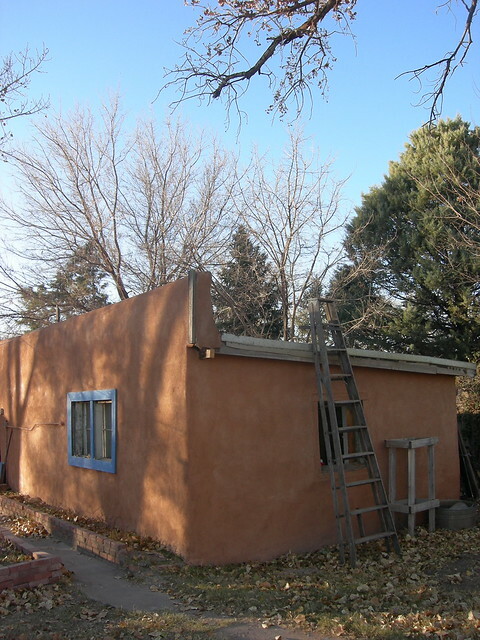 The house itself is 1250ft², and there's a 330ft² detached laundry room and workshop, as well as a detached 220ft² building for use as a toolshed or workspace. 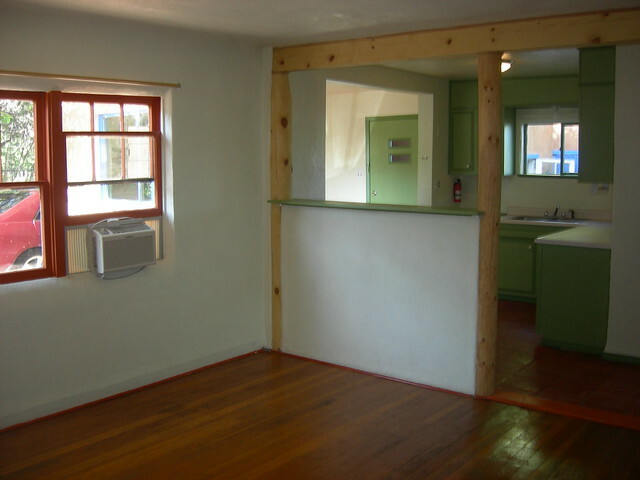 The laundry room includes washer and dryer. 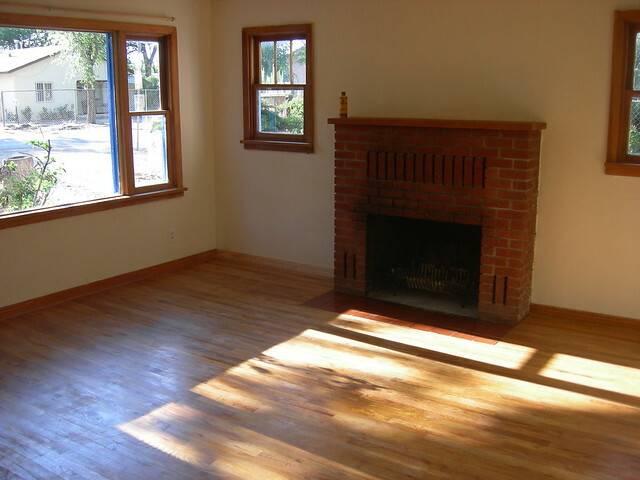 The living room has a working fireplace. 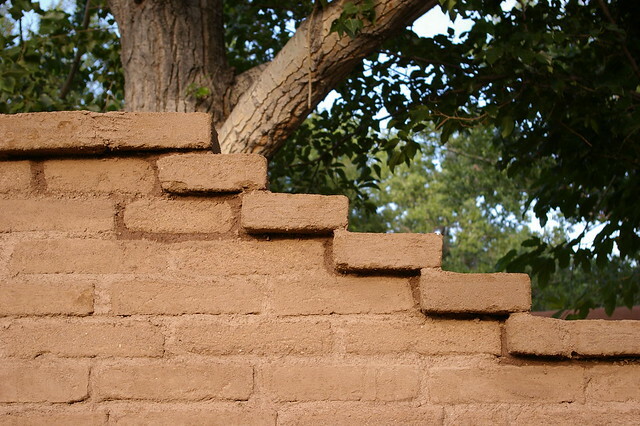 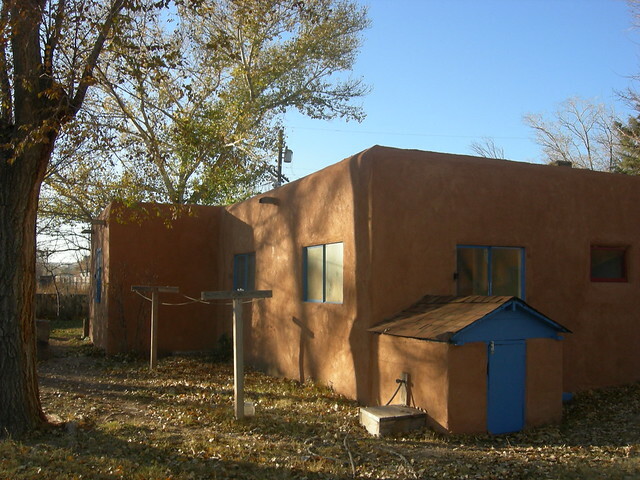 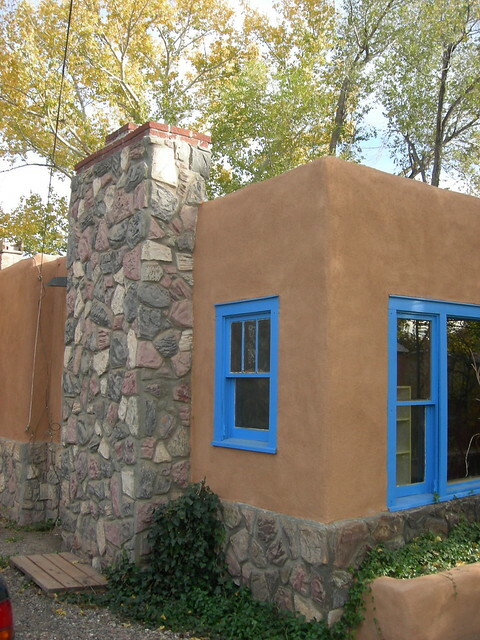 The property is very private, with a front yard enclosed by a newly-built adobe wall, providing protection and insulation from traffic on Atrisco. 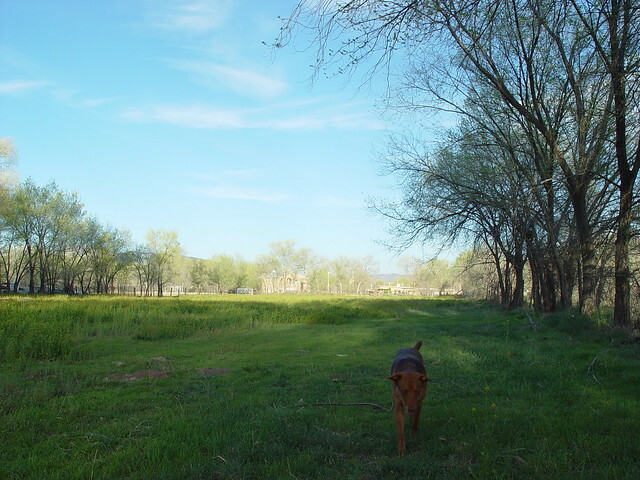 With an enclosed 2.1-acre lot, the property is perfect for pets or farm animals. 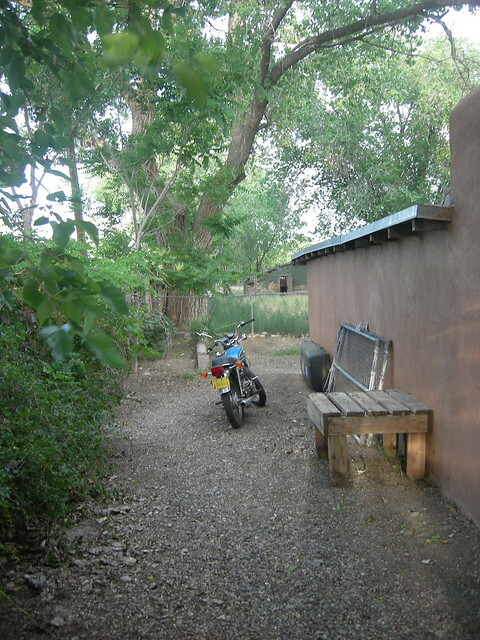 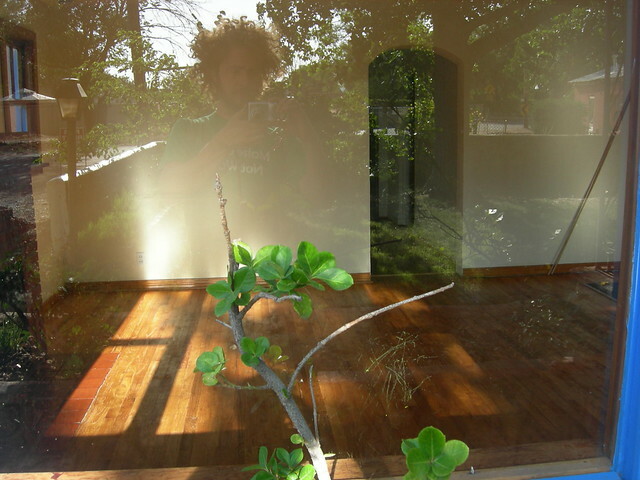 During the time that I lived here, it was home to donkeys, goats, pigs, dogs, cats, chickens, and geese. 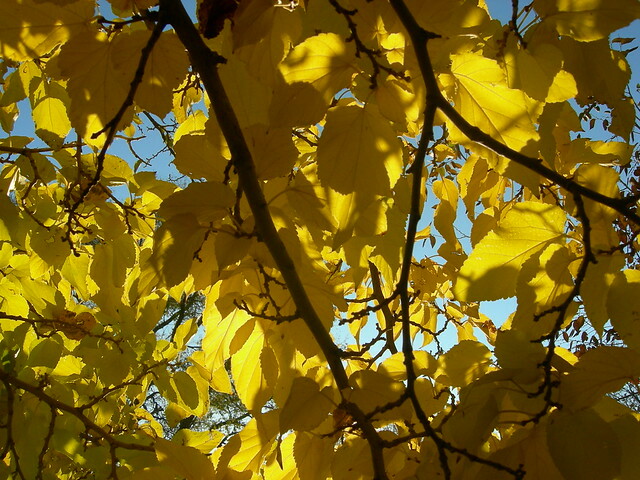 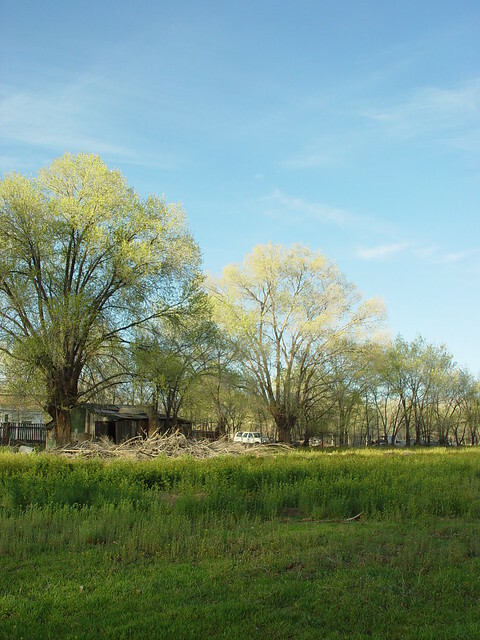 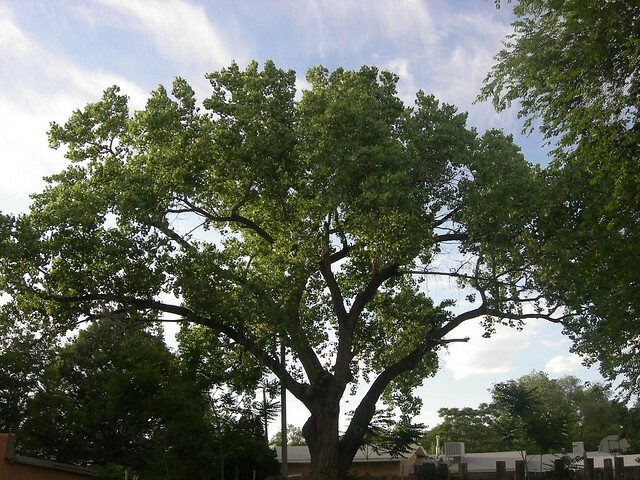 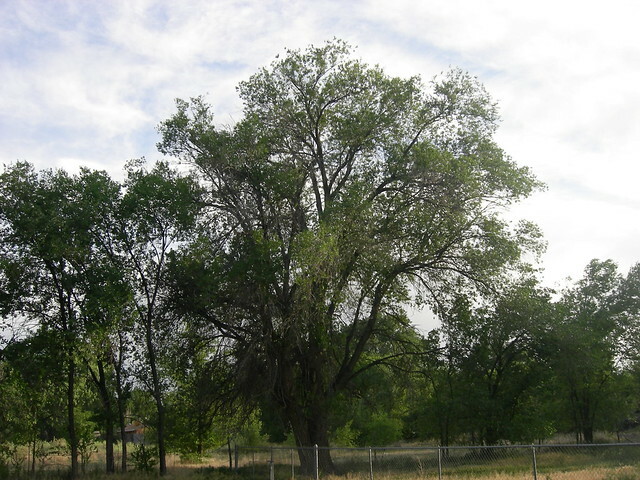 There are several large cottonwood, elm, and mulberry trees on the property. 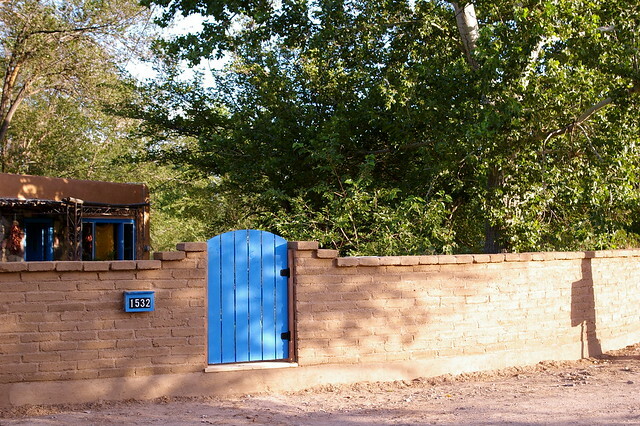 The house itself is on city water, but there's also a well with a new electric pump for outdoor irrigation. 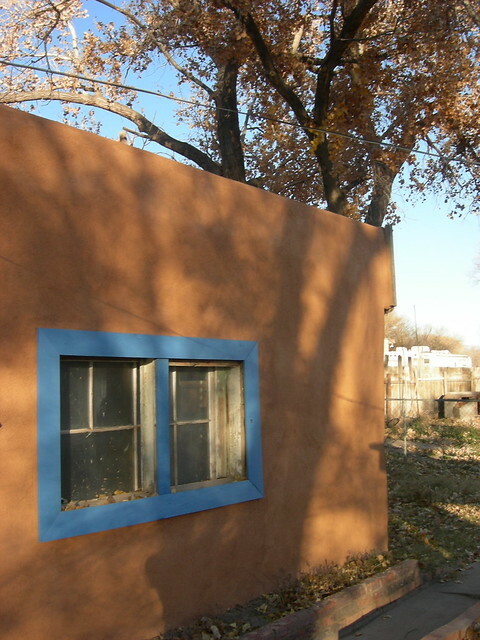 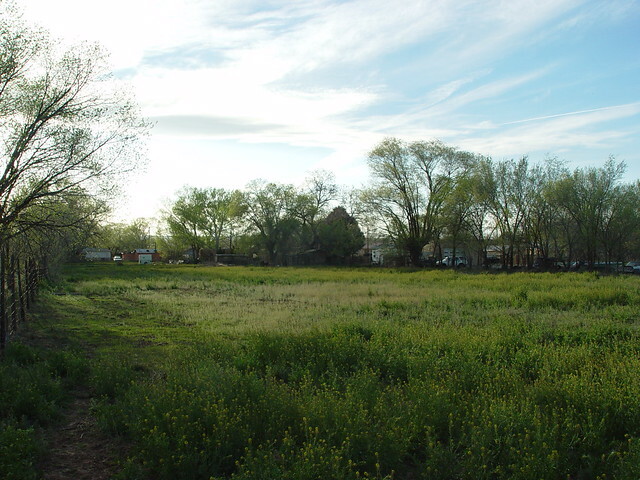 The Atrisco house is remote enough that your neighbors have a cow, but it's only 4 miles from downtown Albuquerque, and five miles from the University of New Mexico (UNM). 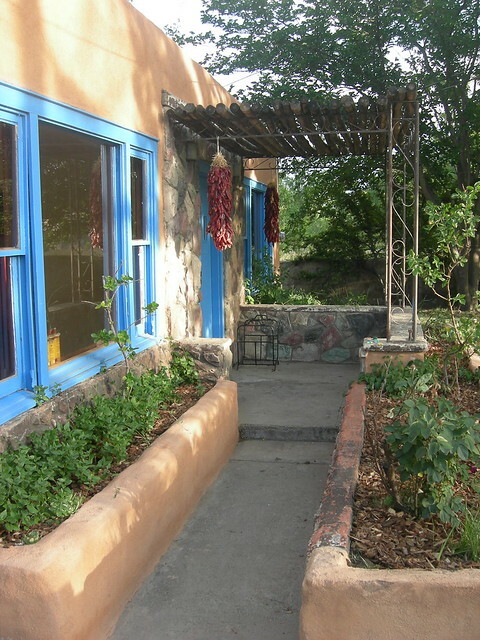 The 51 bus line runs on Atrisco, and there's a stop right outside the house. 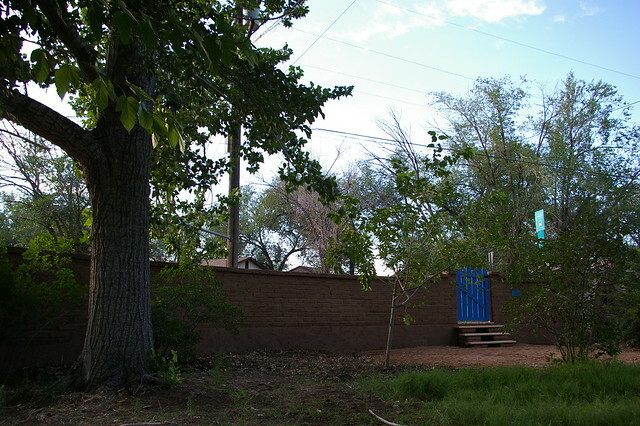 There is a driveway off Atrisco with secluded off-street parking.